AS ALWAYS, THERE’S a rake of book adaptations heading to the big screen this year – time to get reading. What’s the story? 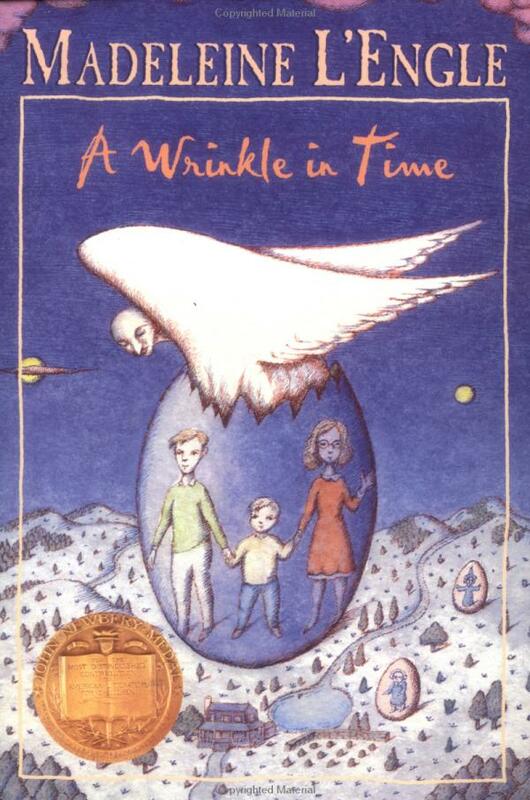 The classic children’s novel tells the story of a young girl who enlists the help of three ‘astral travellers’ to rescue her astrophysicist father from a distant, evil planet. Who’s in it? It’s some cast: Oprah, Reese Witherspoon, Mindy Kaling, Chris Pine, and Zach Galifianakis do the acting, while Ava DuVernay directs. When’s it out? Mid March. What’s the story? An American-born Chinese economics professor goes to Singapore with her boyfriend for a wedding, only to discover his family and everyone he knows is filthy rich. The book is half satire, half romance, and very entertaining. Who’s in it? Constance Wu, Henry Golding, Gemma Chan, and Crouching Tiger Hidden Dragon’s Michelle Yeoh. When’s it out? August 17. What’s the story? When her husband disappears, a biologist joins a team of women on an expedition into an environmental disaster zone to find out what happened to him. Who’s in it? Natalie Portman, Jennifer Jason Leigh, Oscar Isaac, and Tessa Thompson. Ex Machina’s Alex Garland directs. When’s it out? February 23. What’s the story? Lots of people disappearing in these here books. This one tells the story of an agoraphobic architect, Bernadette, who goes missing prior to a family trip to Antarctica. Who’s in it? Cate Blanchett, Kristen Wiig, Billy Crudup, and the ever-reliable Judy Greer. Richard Linklater directs. When’s it out? May 11 in the US – Irish release date TBC. What’s the story? The Hunger Games continues to inspire writers and filmmakers – in this dystopian novel, a mysterious disease kills off most of the world’s children, and leaves those that remain with frightening superpowers. Who’s in it? Mandy Moore, Game of Thrones’ Gwendoline Christie, and Amandla Stenberg. When’s it out? September 14. What’s the story? A re-imagining of Hamlet, told from the perspective of the doomed Ophelia. Who’s in it? Daisy Ridley, Naomi Watts, Clive Owen, and Tom Felton (AKA Draco Malfoy himself). What’s the story? In this memoir, Conley recounts the time he spent in a gay conversion therapy program at the behest of his deeply religious family. Who’s in it? Nicole Kidman, Joel Edgerton, Russell Crowe, and Lucas Hedges. When’s it out? September 28. What’s the story? A world-renowned opera singer is trapped in a hostage situation when she’s invited to perform for a wealthy fan in South America. Who’s in it? Julianne Moore, Ken Watanabe, Christopher Lambert. What’s the story? A writer travels to Guernsey in the aftermath of WWII to pen a book about the residents’ experience of the war, and forms an unexpected bond with them and the island. Who’s in it? Lily James, Michiel Huisman, Matthew Goode and Jessica Brown Findlay. It’s a Downton reunion! When’s it out? April 20. Email “9 books to read before they come out as movies in 2018”. Feedback on “9 books to read before they come out as movies in 2018”.